Ben Ahern BVSc (Hons I) MACVSc Dipl. ACVS Dip. ACVSMR. Ben is a UQ Vet School graduate who travelled abroad for his surgical training at the University of Pennsylvania's New Bolton Centre. While there he completed a fellowship in comparative orthopaedic research in addition to an internship and residency in equine surgery. On returning to Australia Ben was a surgeon at Randwick Equine Centre in Sydney for four years. After a short period in Adelaide Ben has returned home to UQ and South East Queensland. Ben is a specialist in equine surgery and is board certified by the American College of Equine Surgeons and the American College of Veterinary Sports Medicine and Rehabilitation. He has authored multiple book chapters and has published on a wide range of topics ranging from orthopaedics and lameness, to novel tie-back procedures and stem cell therapies. Grace Forbes BVSc MACVSc. 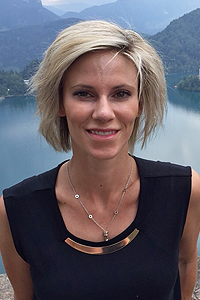 Grace graduated from the University of Melbourne in 2004. Grace completed an internship and residency in equine internal medicine at the University of Melbourne. Grace is currently undertaking a PhD in equine endotoxaemia at University of Melbourne. 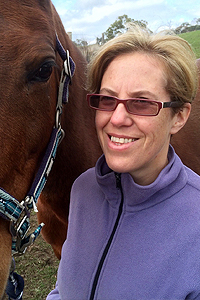 Grace has worked in private equine and racetrack practice in Melbourne. Grace joined Racing Victoria 2012 and currently the Veterinary Services Manager. Her current research interests are in the epidemiology of equine limb injuries, poor performance in equine athletes, and racehorse welfare. Grace is a member of the local committee for the 2018 conference, which will be held in Australia. Sam Franklin BVSc, PhD, MRCVS, DipACVSMR, RCVS recognized specialist in Equine Medicine (Sports Medicine) Sam graduated from the University of Bristol in the UK and, following a period in mixed practice, returned to Bristol to complete a PhD relating to dynamic upper airway obstructions in equine athletes. Whilst in the UK, Sam was instrumental in the development of the world's first overground endoscope, with the aid of funding from the Horserace Betting Levy Board. Her clinical and research interests relate to poor performance in equine athletes, with a particular interest in cardiorespiratory disorders. Sam moved to the University of Adelaide in 2010. She is board certified by the American College of Veterinary Sports Medicine and Rehabilitation. She joined the ICEEP international committee in 2014 and is the chair of the local committee for the 2018 conference, which will be held in Australia. Professor Ken Hinchcliff, BVSc, MS, PhD, DACVIM. A graduate of the Melbourne Veterinary School, Ken is Chief Executive Officer and President of Trinity College, Melbourne and was Dean of the Faculty of Veterinary and Agricultural Sciences at the University of Melbourne (2014-2015). He was previously Dean of the Faculty of Veterinary Science at the University of Melbourne (2007-2014). After several years in practice in Victoria, Ken completed an advanced training program in large animal internal medicine at the University of Wisconsin-Madison, and a PhD in equine exercise physiology at the Ohio State University. 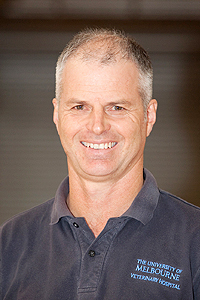 Professor Hinchcliff was a faculty member in the College of Veterinary Medicine at OSU, rising to professor, before joining the University of Melbourne in 2007. Professor Hinchcliff's research is focused on exercise science, and in particular exercise and exercise-related diseases of horses. He was a practicing veterinarian until being appointed dean. 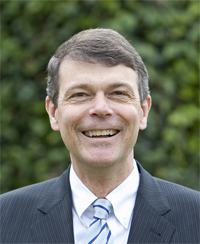 As Dean of Veterinary Science, he initiated and oversaw the creation of the Doctor of Veterinary Medicine at the University of Melbourne to replace the undergraduate BVSc as the professional entry degree and oversaw growth in the Faculty of Veterinary Science and the creation, in 2014, of the larger Faculty of Veterinary and Agricultural Sciences. Professor Hinchcliff is a specialist in equine medicine and the author of over 180 peer- reviewed scientific publications, several scholarly books including the 9th, 10th (2007) and 11th (2016) editions of "Veterinary Medicine: A textbook of the diseases of cattle, horses, sheep, pigs and goats", the first (2004) and second (2014) editions of the textbook "Equine Sports Medicine and Surgery: basic and clinical sciences of the equine athlete", the first edition of "Equine Exercise Physiology", the second edition of "Five Minute Veterinary Consult – Equine" (2009), numerous book chapters, and other scholarly works. He is Co-Editor-in-Chief of the Journal of Veterinary Internal Medicine. Professor Hinchcliff is a member of the Zoological Parks and Gardens Board of Victoria and is deputy chair of the Listing Committee of the Fédération Equestre Internationale (FEI). He was previously chair of the International Committee of the International Conference on Equine Exercise Physiology (2010-2014) after having being a member of that committee since 2002. 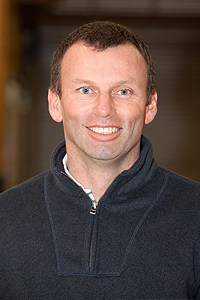 Brett gained his degree in veterinary science at Massey University. He then undertook an internship at Randwick Equine Centre before returning to New Zealand to work in mixed-large animal practice in the Waikato region. In 2002, he travelled to the United States to complete a residency in Equine Internal Medicine at the University of Illinois and a fellowship in Emergency and Critical Care at the University of Pennsylvania. On completion of those programs, he worked on faculty at the University of Georgia's Veterinary Teaching Hospital. In March 2012, he returned to the Southern Hemisphere to take a position at the University of Melbourne's Equine Centre. Elisabeth-Lidwien (E.J.M.M.) Verdegaal DVM, MVM, Dip ECEIM, Specialist RNVA Equine Medicine. Lidwien qualified as a Doctor Veterinary Medicine at Utrecht University in The Netherlands. Following working for two years in mixed practice, Lidwien completed her residency Equine Internal Medicine at Utrecht University and qualified as an Equine Medicine Specialist at the Royal Dutch Association of Veterinary specialists. 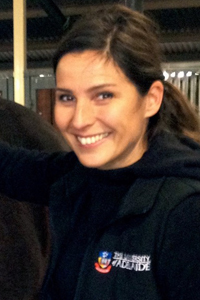 She is a Diplomate of the European College of Equine Internal Medicine (ECEIM) and Australian registered specialist. Lidwien worked as an Equine medicine specialist the Middle East in 2 private Equine clinics: for the Royal Family in Jordan and she was part of a team establishing a new Equine referral hospital in Kuwait. Her areas of special interest include exercise in sport horses (research in thermoregulation), adult and neonatal critical care and equine infectious diseases. Lidwien joined Adelaide University in 2011. Besides work, she loves horse riding in her free time. Since 2004 Chris has run a clinical service in Equine Surgery and lameness investigation and management, and developed a multidisciplinary research programme into the understanding and prevention of limb injuries in racehorses. He has published 42 peer reviewed papers during his career. 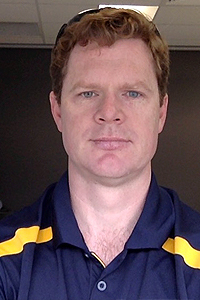 His current research interests are in biomechanics, subchondral bone and the epidemiology of equine limb injuries. ©2018 iceep. All rights reserved.